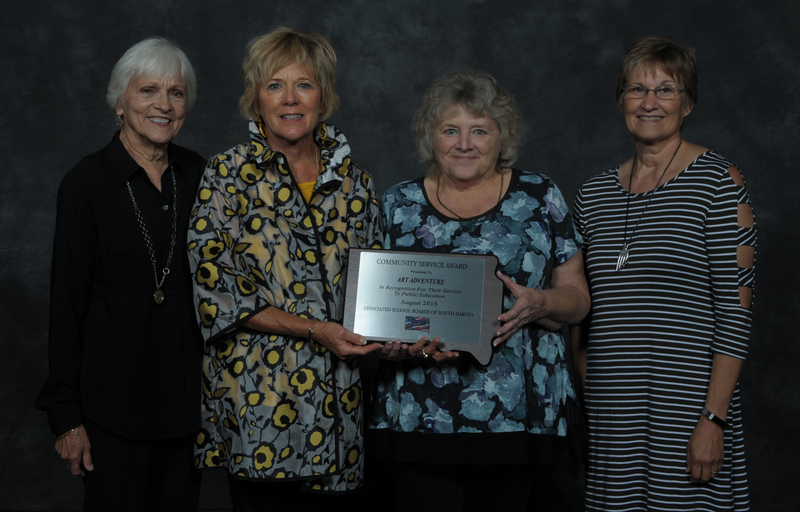 Associated School Boards of South Dakota | ASBSD honors board members, community members and former Secretary of Ed. ASBSD honored school board members, individuals from communities and a former Secretary of Education at the 2018 ASBSD-SASD Convention. Wilmot School Board President Denise Lutkemeier earned the 2018 Associated School Boards of South Dakota’s Outstanding School Board Member of the Year honor, which is presented to a South Dakota school board member that embodies the spirit of school board leadership in recognition of his or her dedication to the advancement of student learning at the local level. 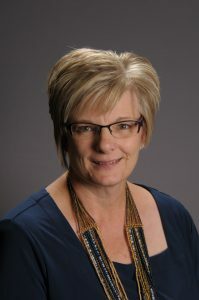 In her 18 years of public service on her local board, Lutkemeier has been an exemplary leader, instrumental in setting goals for students and staff that would improve educational opportunities and encouraging round table discussions, where board members meet with the staff to discuss and set goals. She encourages others to make decisions in the best interest of all students and strongly supports professional development for staff members. “Denise is a dedicated public servant who has devoted much of her time and effort to ensuring the students in the Wilmot school district receive a great education and the staff are well trained and retained,” ASBSD Executive Director Wade Pogany said. The Parker School Board was selected the 2018 ASBSD School Board Award of Excellence recipient, which honors a public school board that consistently demonstrates outstanding leadership to enhance the achievement of all students and demonstrates governance leadership in promoting excellence in public education. They received a recognition plaque and a $1,000 cash award, provided by BankWest. The Parker board developed a strategic plan with goals in the areas of academic improvement, facility assessment, staff development and training, graduation rate, technology advancement and community improvement. Board members made sound fiscal choices, putting the district in a debt free position from which they eliminated an opt-out, lowered local taxes and adjusted the budget to allow them to provide a top education for their students, utilize present-day technologies and upgrade their facilities. Former South Dakota Secretary of Education Dr. Melody Schopp received the School Bell Award, which honors individuals or organizations who have served South Dakota public education in an exemplary fashion. Dr. Schopp proved an influential individual and dedicated professional with a servant’s heart invested in public education over her decades of service to the profession as a teacher, a school board member and as the former Secretary of Education in which she served from 2011 to 2017. Wessington Springs community member Jack Ferguson was posthumously honored the ASBSD Community Service Award, which is presented to individuals or groups serving their local school district in exemplary fashion. 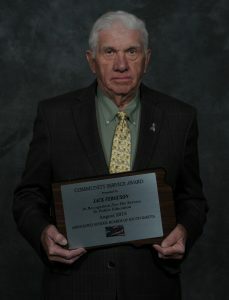 Wessington Springs School Board Member Jim Burg accepted the award on Ferguson’s behalf. In his community, Ferguson proved to be an advocate for the students and the school to his peers, using his platform to advocate for his fellow peers to support a strong K-12 school system in their community. He was vocal in explaining the importance of the district’s school bond and the necessary improvement it would provide for the school and all students to his fellow community members. Ferguson’s willingness to support the school by attending events, helping the school board or by providing financial assistance demonstrated his generosity and strong belief in the value of having a strong K-12 school system in the community. Art Adventures of Yankton also received the ASBSD Community Service Award. Art Adventures of Yankton, developed during the 2014-15 school year by Kathleen West, was developed as a way to enhance art instruction in district classrooms and provide a more in-depth art experience through the integration of various curriculum areas into the art experience. With a focus placed on South Dakota artists, landscapes and history, Art Adventures of Yankton volunteers visit classrooms, sharing a book, introducing the author and incorporating an artist into the lesson, which has assisted the classroom teachers in expanding their repertoire of standards-based art lessons. 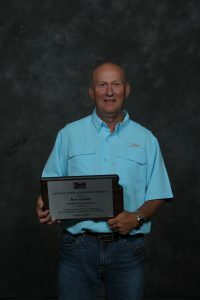 Gorder served 21 years on the Estelline School Board, during which time he was instrumental in the development and culmination of countless district endeavors, including the construction of a new school building.